I have come to think of life in much more a gene-centric view than even a genome-centric view, although it kind of oscillates. And when we talk about the transplant work, genome-centric becomes more important than gene-centric. From the first third of the Sorcerer II expedition we discovered roughly 6 million new genes that has doubled the number in the public databases when we put them in a few months ago, and in 2008 we are likely to double that entire number again. We're just at the tip of the iceberg of what the divergence is on this planet. We are in a linear phase of gene discovery maybe in a linear phase of unique biological entities if you call those species, discovery, and I think eventually we can have databases that represent the gene repertoire of our planet. One question is, can we extrapolate back from this data set to describe the most recent common ancestor. I don't necessarily buy that there is a single ancestor. It’s counterintuitive to me. I think we may have thousands of recent common ancestors and they are not necessarily so common. 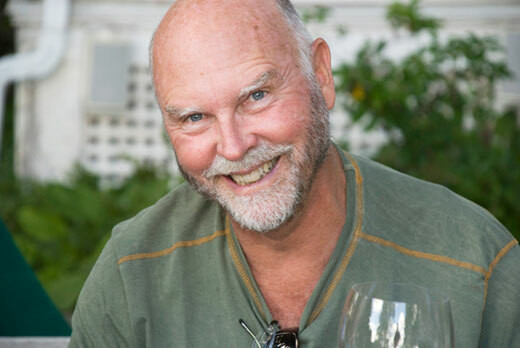 J. CRAIG VENTER is one of leading scientists of the 21st century for his visionary contributions in genomic research. He is founder and president of the J. Craig Venter Institute. The Venter Institute conducts basic research that advances the science of genomics; specializes inhuman genome based medicine, infectious disease, environmental genomics and synthetic genomics and synthetic life, and explores the ethical and policy implications of genomic discoveries and advances. The Venter Institute employes more than 400 scientist and staff in Rockville, Md and in La Jolla, Ca. He is the author of A Life Decoded: My Genome: My Life. J. CRAIG VENTER: Seth's statement about digitization is basically what I've spent the last fifteen years of my career doing, digitizing biology. That's what DNA sequencing has been about. I view biology as an analog world that DNA sequencing has taking into the digital world . I'll talk about some of the observations that we have made for a few minutes, and then I will talk about once we can read the genetic code, we've now started the phase where we can write it. And how that is going to be the end of Darwinism. On the reading side, some of you have heard of our Sorcerer II expedition for the last few years where we've been just shotgun sequencing the ocean. We've just applied the same tools we developed for sequencing the human genome to the environment, and we could apply it to any environment; we could dig up some soil here, or take water from the pond, and discover biology at a scale that people really have not even imagined. The world of microbiology as we've come to know it is based on over a hundred year old technology of seeing what will grow in culture. Only about a tenth of a percent of microbiological organisms, will grow in the lab using traditional techniques. We decided to go straight to the DNA world to shotgun sequence what's there; using very simple techniques of filtering seawater into different size fractions, and sequencing everything at once that's in the fractions. For example, we discovered that almost every microorganism in the upper parts of the ocean has a photoreceptor similar to the ones in our own eyes. We knew there were one or two bacterial rhodopsins, but people thought they were rare molecules; it turns out it's probably one of the largest gene families on the planet. It's the same gene family that we have in our own eyes — our own rhodopsins, our visual pigments. Only instead of just capturing light information, these organisms capture a light, and convert it into cellular energy — non-photosynthetic, totally separate mechanism. When we set out to go to the Sargasso Sea surrounding Bermuda, all the marine microbiologists told us nothing was there, it was a desert, and we’d find only a few organisms. Instead we found tens of thousands of organisms in just a barrel of seawater. And the reason they said we wouldn't find anything is that there are no nutrients there; they said there are no nutrients, therefore there'll be no life. It turns out they don't need the nutrients because their energy is derived directly from sunlight. LLOYD: Do you think perhaps that first use of rhodopsin was to harvest?energy? VENTER: Quite possibly. And then it was adapted for visual pigments because it was a light-recognition molecule. And the other aspect of it is there's a wide range of new ones — and we have thousands of these now — and so lining up the proteins of all these, there's a single amino acid residue that determines the wavelength of light that the receptors see. There's a single base change in the genetic code that determines the amino acid responsible for the wave length of light seen by the receptor. Changing one base in the genetic code can switch the light seen from for example blue to green. We found when we went back looking at the distribution of where these different rhodopsin molecules are, they totally segregate based on the color of water. The photoreceptors in the organisms in the deep indigo blue of the Sargasso Sea see blue light. You get into coastal water where there's a lot of chlorophyll, they see primarily green light. To me this is classical Darwinian selection. A single base pair determines the switch between blue and green. And whatever wavelength of light, it clearly provides a survival advantage for that environment. It turns out, just looking at the populations, that this switch between blue and green has happened at least four times, back and forth. And so in one hand it seems like a classical reformation of Darwinian thinking. On the other hand, under each type of 16 S RNA, we have in fact hundreds to thousands of different cells, different genomes. Are they different species? These are the types of species and definitions of life that I've been lately been devoting much of my professional career to. And it turns out these diverse organism share most of the gene content with each other and most of the gene order is conserved. But the sequence variations are as high as 60% between cell types. And according to classical Darwinism, this should not be the case, and it's not what anybody expected — there should be that one or a few species that survived and all the others died out. It turns out these are ancient lineages, all existing in parallel, all virtually identical to each other but not quite identical. Maybe they just have that equivalent base change to where one can see the equivalent of blue light and the other can see green light and we can't see that because we don't know what all the other molecular switch changes mean. But we find this over and over again with every microbial species. I'm forced to use the term species, because there's no better common word, but species' is a very vague term. It's sort of a group of closely related organisms, much like the human population is a group of closely related organisms. If it's a new species because it has that one base change and it can see blue light instead of green light, it's a phenotypic difference, it's a survival difference; it's got nothing to do with sexual reproduction, but it's roughly the same order of change of genetic information. Other things you can throw into the mix: we have organisms that could absolutely survive long-term space flight, they can take millions of Rads of ionizing radiation, they can be totally desiccated; when they reach an aqueous source they can repair their genome and start replicating again. Thus, you could potentially view evolution as a six- to seven-to eight billion year event, not a three- to four-billion year event, if life can travel around the universe. That adds a lot of dimensionality to things when we think of life in other planets and galexcies We exchange roughly a hundred kilograms of material annually with Mars. So we're exchanging biological material and biological information. To me it's just a matter of time until life is found on Mars. It's inevitable. It won't tell us whether it originated on Mars, or originated on Earth, but there'll be common overlap. We won't know if we don't know our own planet's genetic repertoire, which we're in the earliest stages of discovering. There are the evolutionary aspects, the origin of life aspects to this, which make it very intriguing. But thinking about the next stage makes it more fun if you start to think of our present set of 10 million genes in our data bases soon to be 20 million unique genes. I spent early parts of my career trying to make site-directed mutants of neurotransmitter receptors, where you change a single base pair and study the change in function of the new altered protein. Now you can just go to a database of our gene sets and find 35,000 variants of a single gene that you know survived and work in nature. It is a very different view of the world, and it will change the experimental approaches. But this new data set gives us a wonderful new repertoire, if you view these genes as the design components of the future. For me, it all started in 1995 when we sequenced the first two genomes of living entities. The first was Haemophilus influenzae, the second was Mycoplasma genitalium. Mycoplasma genitalium had only 550 some odd genes; Haemophilus influenzae had 1,800. And so this was the first comparative genomics that could be done for living organisms. We just started asking very simple questions for example — if one species needed 1,800 genes and the other needed 550, are there species that can get by with less? Can you define a minimal genetic operating system for life? Could we define life at a genetic level? Obviously extremely naive questions but the view of biochemistry and genomics by the scientific community was very limited as well. For example when we published the Haemophilus influenzae genome a well known biochemist at Stanford University said we obviously assembled it wrong because it didn't have a complete TCA cycle. And everybody knew that every organism had a complete glycolytic pathway and a complete TCA cycle. And Haemophilus only has half of one. SHAPIRO: Therefore it's not an organism. VENTER: No, therefore they assumed we made a mistake in the sequencing and the assembly. Now we see every repertoire under the sun, for example the third organism that we sequenced was the first Achaea that we did with Carl Woese, it was methanococcus jannaschii, which has neither a TCA cycle nor glycolysis. It makes all its cellular energy by methanogenesis, going from CO2 to methane, using hydrogen as its energy source. CO2 is its carbon source for all the carbon in the cell. What Freeman was talking about when he said you can separate metabolism from replication is certainly true, and we have at least 20 different modules we could plug in for metabolism. There's not a universal genetic code that will be an operating system — it can be a choice of methane production, or of glucose metabolism, or anaerobic metabolism, oxidative metabolism or some other approach. So the naïve assumption that we could even define an operating system clearly went out the window. We first we tried to knock out genes in Mycoplasma genitalium to see if we could get to a minimal genome. We could only knock out one gene at a time, and we could knock out about 100, one at a time, but that didn’t tell us whether if you knocked out all 100 that you can get a living cell from it. But we also learned other things for example — that essentiality for life is very much a relative term. We can have a gene that is absolutely essential for life in one circumstance that is not another — the simplest example I give is that there are two genes in Mycoplasma genitalium for sugar transport, one for fructose and one for glucose; if you have both sugars in the media and you knock out either of the transport genes, you would say they are non-essential genes as the cell lives. If you only have glucose as your sugar in the media, and you knock out the glucose transporter, the cell dies and you say, ah, that's an essential gene. All these things are definitional, based on two things: the genetic code and the environment. Right now we're all focused on the genetic code because it's something we can define and the environment is so many orders of magnitude more complex to define, but we're having this trouble with a single cell with a few hundred genes; we as humans have a hundred trillion cells with 23 thousand or so genes, and an infinite number of combinations, so defining our environment is going to be a lot more complicated than that for a single cell. We decided the only way to answer these questions was to make a synthetic chromosome to understand minimal cellular life. We actually set out with some simplistic experiments in 1995 to make the phi-X174 viral genome. My colleagues in this — and I have an incredible set of colleagues — including Ham Smith who discovered restriction endonucleases that led to his Nobel Prize in 1978, and Clyde Hutchison, who actually was in Sanger's lab when he sequenced phi-X174 and was one of the inventors of site-directed mutagenesis. We thought we'd just synthesize a set of overlapping small olgionucleotides , anneal them together with a replicating enzyme and we'd get the complete genome. We decided to start with phi-X174 because of its historic value and because there are very few base pairs in it that can be varied and still get a functional virus. We figured it would be a real test, because you had to have it accurately synthesized to get a functional virus from it. And even though we had selection by infectivity, which gives us a million to ten million-fold selection, even though we got full-length genome molecules, none of them were viable. And I use the term 'viable' loosely with viruses — it's not clear what a viable virus is, but it's one that can infect a cell and start the replication machinery going. At the same time — John, you raise the question of whether this all happens in a moral vacuum — we decided that, if the only approach forward is to synthesize a genome, and then to start modifying it, that we were going to be creating new biological entities, or species, that hadn't existed before. It's true if you knock out a gene, if one base-paired difference is sufficient for something new, this is nothing new in molecular biology, except if we try to do this deliberately and then try and design things from it. So we asked Art Kaplan at the University of Pennsylvania to spend time with his group looking at this, and his team brought in every major religion to see if it is okay to synthesize life in the laboratory. After a year and a half study basically none of the religious groups objected to it, because they couldn't find anything in their scriptures that said it shouldn't be done. BROCKMAN: Four thousand years ago. VENTER: In fact, they mostly came up with the opposite of this notion of "playing God" that the lay press talks about all the time with regard to this and other related work. Every major religion basically said that part of their dictate to humanity is that you're supposed to try and use knowledge to benefit humanity. The report they published in Science in 1999 noted that what we were doing and the way we were approaching it was very reasonable and we should proceed. The only caution was about biological terrorists using our techniques to try and make biological weapons. We began with that as a basis. Then the entire project was postponed because I had the opportunity to sequence the human genome. We gave up on synthesizing new life forms for a while. LLOYD: That's interesting, so you actually came around to sequencing the human genome from the perspective of trying to construct an artificial organism. VENTER: They were parallel tracks. One didn't lead to another. I wouldn't want you to make that intellectual leap. LLOYD: But you were trying to synthesize life then stopped doing it in order to sequence. VENTER: Right. And so we've spent basically since 2002 starting in full form to find ways to synthesize genomes. We started back with phi-X174 and Ham and Clyde came up with some new ways of error-correction and improving synthesis. DNA synthesis is a degenerative process where the longer you make the molecules, the more errors are in them — a, N minus 1 system. Trying to just synthesize off of chemical synthesizers and get really accurate molecules is currently not possible. But it was an exciting leap for us when we actually made this chromosome, injected it into E. coli, and the next thing we knew E. coli started using that synthetic genome to start producing the phi x 174 viral particles that then started killing the E.coli. It was clearly that this human-made piece of chemical DNA software was now building its own hardware. One of the exciting parts of synthetic biology and synthetic genomics is that that is possible. There are two real components or questions to this, and there's even more in terms of when you think of the implications. One is, can you make these large molecules, and the answer is now absolutely 'yes'; we can make whole chromosome-size macromolecules of DNA. At the same time as we were thinking about the synthesis, we were thinking, how do we boot-up the chromosome in a cell? In the process we initially thought, well, you'd like a ghost cell that just has the ribosomes and other cytoplasmic components in it but is devoid of its chromosome, and we tried numerous ways to get rid of a chromosome in a bacterial cell. Then Ham Smith came up with the notion of, well maybe we don't really need to get rid of it, we'll just put the new chromosome into a cell and when they segregate maybe the chemically-made chromosome will go in one daughter cell cell and the other one will go another way. — actually it is much more complex than that. A short while ago we published a paper in Science on genome transportation, where we took a purified chromosome from one species, made sure it was totally devoid of any protein, and put that chromosome into another bacterial species, and it's the ultimate identity theft because the new chromosome we put in completely took over the cell, and the cell converted completely into the cell dictated by the new chromosome. We put an antibiotic selectable marker gene into the transplanted chromosome so we could select for those cells with the new chromosome — the story on how the selection happens and why one chromosome survives is actually much more interesting and deals with an important part of evolution, but needless to say the new chromosome dictated everything. All the proteins changed over to that. The phenotype of the cell, everything changed, converted from the old species into the new species. DYSON: How many generations did that take? VENTER: It's not clear. It could have happened in the first couple of generations — until you get enough cells that you can see and do biochemistry on, they've gone through, you know, dozens of generations. It would be nice to do stop-flow experiments and see what happened in those initial phases. But we tried to take an EM-micrographs to see if there were hybrid cells that had both sets of chromosomes in them, but we did not find any evidence for hybrid cells. You can see why restriction enzymes were so important for cellular evolution, because speciation could have problems with DNA uptake, if whoever had the dominant genome could just immediately take over your species and transform you into them. It's true identity theft at the molecular level. LLOYD: And you wonder why people are worried when you describe it like that — I feel that it's happening to me right now! SHAPIRO: How genetically different were the two cells? VENTER: They were roughly of the equivalent of man versus mouse. They were closely related mycoplasmas, and it turns out the restriction barriers are really major barriers. It became clear to me for the first time — how important restriction enzymes were for evolution, because if foreign DNA can just go in and take over the cell, obviously that's what you want protection against. It's their equivalent of an immune system. To actually do genome transplants on a reasonable scale, we have to overcome the restriction bariers. In the case that worked, the chromosome that we transplanted had a restriction enzyme that we think chewed up the chromosome that was actually in the cell. The one in the cell did not have a restriction enzyme, so there was no restriction barrier. SASSELOV: Is your gut feeling that there is no need for a hybrid generation to develop, that you jump entirely from one to the other. SASSELOV: But do you have a gut feeling for it? VENTER: Gene expression and new protein synthesis can happen pretty quickly. If we're transplanting in a new chromosome and it immediately starts to get transcribed events could happen quite rapidly. Turning over the membrane and all its content could perhaps take a couple of cell divisions and generations to get them completely changed over. After several generations we ran 2D Gels and some protein sequencing — every protein there was the ones dictated by the new chromosome. The genome transplant experiment was the key one for synthetic life. But I think definitions are really important here; none of us are talking about creating life from scratch, because that's not what's happening. We're taking two approaches; we're taking the genome transplant approach and we have a team working on trying to isolate every protein from the cell to see if we can put the proteins together, with the chromosome, with some lipids, and get spontaneous cell and life formation. LLOYD: You're saying it's much less like open source software and more like Microsoft, whose software actively resists operating with exterior software. VENTER: Absolutely. You could not have speciation without it. These things get down to basic definitions of life. The lay press likes to talk about creating life from scratch. But while we can create and develop new species, we're not creating life from scratch. We talked about the ribosome; we tried to make synthetic ribosomes, starting with the genetic code and building them — the ribosome is such an incredibly beautiful complex entity, you can make synthetic ribosomes, but they don't function totally yet. Nobody knows how to get ones that can actually do protein synthesis. But starting with an intact ribosome is cheating anyway right? ?That is not building life from scratch but relying on billions of years of evolution. When starting with an existing protein synthesis machinery we can create new life forms, we can create a synthetic chromosome that we can now do transplants of, and develop new species with very unique properties — so we can create human-made species — but we're not really creating life from scratch. You can boot up a system but right now all life derives from other living entities. What we're doing is really no different, because we're just putting a new operating system into a living cell. If George or anybody else doing this can take even the raw protein components and lipids and boot up a cell and get it activated and go from the chemical molecules to a living cell, that's a big conceptual barrier that remains to be passed. But even that's cheating. If you look at the Urey-Miller experiments of the chemicals that can be made in certain environments and start with basic amino acids and nucleic acids and all of a sudden you get life out of that — that would be creating life from scratch. Starting with a ribosome is sort of like building a Tesla electric car now, but that wasn't the first car ever made. They borrowed a lot of components from other cars. SHAPIRO: At the basic level I'm sure that even the DNA synthesizers you use and the nucleotides are derived by degrading bulk DNA taken from other organisms. They're not synthesized in the laboratory. VENTER: I think they're all chemically made, aren't they? SHAPIRO: No, because they are all one mirror form, not the other one. It would be a chemical nuisance to have to resolve all of the nucleotides and then put them into the machines and synthesize them. CHURCH: They're certainly more synthetic than they were in the past. They were harvested from salmon DNA and yeast and now they're actually made from very simple precursors. But you're right, the chiral forms, the riboses? SHAPIRO: Ultimately come from life. CHURCH: Although you can, and I'll talk about it in my time, make chiral forms. SHAPIRO: You could in principle, but in practice what's happening is people are getting the basic parts out of life and putting them back into life. CHURCH: You have to ask why? Why does it matter? VENTER: But these are important notions that get lost in the over-simplified interpretation of what we are doing. I don't think we are creating life. We're coming up with new modified life forms, and we should be able to go from the digital world right to the analog world in the computer, and we have a team working on a program to do that, designing a species in the computer. It's only a short time away from doing that just to have systems crank out synthetic chromosomes. In fact I've talked to various funders about trying to design a robot that could build a million chromosomes a day. Because then we can have a new field that I call combinatorial genomics. We don't know answers to seemingly simple questions such as; is gene-order important? If you just scramble the order of the same genes does life work the same way? We know with operating systems and operons gene order is important but in the genome as a whole it is perhaps not; — that was one of the biggest surprises with the human genome, multi-subunit proteins such as the nicotinic acetylcholine receptor that has five sub-units which were all in different chromosomes. The assumption was that they would all be together in order on one chromosome. Maybe as long as all the parts are there, that's all that matters; we just need the gene set and the gene repertoire. There are so many different directions we can go with this conversation, maybe I should just stop here. BROCKMAN: Where is it all going? VENTER: I disagree with this recreational use — who cares whether you have green fluorescent protein in fish or something. Hopefully these are fads that will go away very quickly — maybe they're important for inducing biological concepts — but there are far more pressing issues. To me the biggest issue, that's why we decide to put most effort there, is what we're doing to our own environment and atmosphere by taking billions of tons of oil and coal, burning it, and having the CO2 go into the atmosphere. Right now it's over four billion tons a year — and the estimation in 50 years is that it's going to be on the order of 12 billion tons a year of CO2. It's a big experiment that we are doing with our planet that hasn't happened during the existence of human life. It's happened to the ?planet before. It's a dangerous experiment to do. We can only estimate outcomes from it. But we have to have some potential solutions. While everybody's looking just to physics for the solutions, I have been arguing that biology could play a major role, if not the ultimate role, in the solution. And that's why we started Synthetic Genomics, the company, to try and design genomes to make new fuels. DYSON: We were doing that at Oak Ridge 30 years ago. VENTER: People have been looking at biology, but they were looking for naturally occurring organisms to do this. Right? That worked well during World War II . DYSON: It was clear that biology would be the right way to do it. Even 30 years ago. VENTER: There has been an effort within some DOE labs to find and use natural organisms to produce hydrogen or other potential fuels but the efforts have essentially gone nowhere due to the scale of the problem and the efforts have been very limited. It has been a battle in the Department of Energy as to the importance of biology. Many in congress have the niave idea that it should only be done at the NIH. LLOYD: If we destroy our idea-based culture by raising the ocean levels by a hundred meters, we can just return to the good old days of Darwinian natural selection. Go back to Stage Five, right? VENTER: The choices are doing something to change the environment or being able to engineer the human genetic code to be able to survive in different environments than we can currently.When we can actually design and build millions of new organisms a day, single cell organisms — the first single-cell organisms are months away, the first synthetic eukaryotic cells are less than five years away, and multi-cellular systems are not orders of magnitude more complex to do. In fact in some respects they're easier to do because the ocean is a multi-cellular genome system, just different cells provide different components — the cells can just be associated loosely in the environment, but there's only a small number of cells that actually fix nitrogen that provide that for the whole pool. It's a cooperative environment, and having the cells get together to do it I think is not much more complicated than engineering some good stem cells, if we want to do that. SASSELOV: Craig, I wanted to connect what you are saying with what Freeman was saying about the Darwinian era. To me his idea is not so much about the end of a process but the beginning of a new phenomenology, from the big picture point of view. Don't you feel that creating those species or whatever you may want to call them, synthetic life, even if it's not creating life from scratch, basically starts a new phenomenology in the universe that hasn't been observed before, because you have a complex chemistry that reached the stage at which it actually changes and produces viable complex chemistry that can continue even without its own existence. In other words, if we do not continue as a species and our technological civilization comes to an end, those species will actually continue to exist on this planet potentially could go to other places. LLOYD: Human beings, you could even say, could identify the beginning of modern human culture with the ability to modify grains genetically so that they could be grown in large quantities and people could go from being simply hunter-gatherers to actually being farmers. And certainly people have been genetically modifying their world around them for tens of thousands of years, in a variety of different ways, starting merely by first picking the variety of grains that have things that are easier to separate out from their husks. The recent discovery of the precursor of corn, or maize, was a big surprise, because the actual precursor looks nothing whatsoever like the corn that we actually eat, and over the course of thousands of years the people merely by selecting out the varieties they wanted made corn as we know. VENTER: We've been doing blind genetic experimentation by mixing whole genomes together for a long time. It's amazing how little concern there's been over the agricultural practices for the last millennium, right? Just blindly mixing any species together — if they will mix together it gets done. And if you do it with intelligent forethought, it's more dangerous, somehow. LLOYD: I guess one of the worst consequences of hybridization was that the species that were introduced were so successful that we got rid of a huge amount of biodiversity by replacing what used to be a much larger set of different kinds of corn with just a couple of varieties which are then much more vulnerable to various blights. VENTER: People don't think about these issues too much — when you start to look at the ocean as a sea of life — a million bacteria per milliliter of bacteria and Achaea — ten million viruses per milliliter — when you think of a supertanker taking on ballast water, going to a port where it fills up with oil, dumping the ballast water, it's put hundreds of thousands of gallons, basically billions to trillions of new organisms that have never seen that environment before, into that environment. And you wonder why we end up with environmental problems such as the zebra mussels in the great lakes. BROCKMAN: What drives the decision as to what projects you pursue at the Institute? Available funding? Areas that you and your colleagues picked out? What you can get away with? Are you looking for another definition of life? And finally, what's your fantasy if you had all the money you wanted and needed and you weren't going to get hassled by the government, the press, what would you do? VENTER: I'm one of the few scientists actually in the situation to live most of his fantasies every day. My institute budget varies between $80 million and $100 million dollars a year in funding, the majority of which comes from federal sources, but an increasing percentage comes from the wealth that's been generated in this country. The Gordon and Betty Moore Foundation — Gordon was the founder of Intel — is an example of people who have made tremendous private wealth, and put it back into science and to the benefit of society. It's a unique thing in this country — I don't see it anywhere else in the world. More and more of our research funds come from those sources. In addition, out of founders stock from Celera and Human Genome Sciences, I created my own endowment that can fund new ideas when they occur not a year or two later. I've found that's the key that's happened in creative science, at least in my case, both having resources and ability to do experiments when I thought of the ideas. LLOYD: I want you to stop describing this, because I just might have to leave the table if you continue. It's too depressing for me. VENTER: We could have an entire session on just how dismal new science funding really is in this country. We celebrate the breakthroughs, but to me they happen at one one-thousandth of the rate that they should be happening. But I've had the privileged situation by creating the environment that I want so myself and my colleagues do things driven totally by our intellectual ideas. And then we spend our seed money on it and then we try and find other sources to fund them to the next stage. BROCKMAN: What are the ideas that are too dangerous to pursue, that you want to pursue? VENTER: There isn't anything now within technical capability that's worth doing that is too dangerous to pursue. Our knowledge is so primitive of the human genome that to start engineering it is just stupid. Hopefully in 50 or 100 years our knowledge will be sufficient that we could do that intelligently. In the long run genetic manipulation of humans is not only inevitable and it's probably a very good idea. Craig Venter&mdash; LIFE: WHAT A CONCEPT!